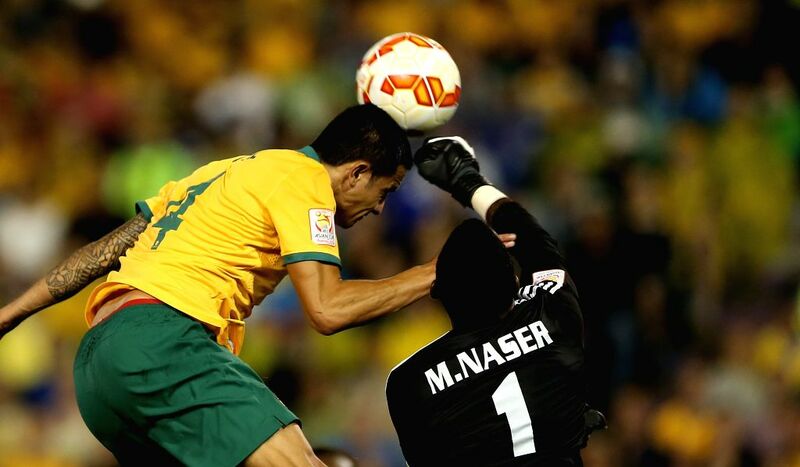 NEWCASTLE, Jan. 27, 2015 - Tim Cahill (L) of Australia competes with the goalkeeper Majed Naser of United Arab Emirates during their semifinal match at the 2015 AFC Asian Cup in Newcastle, Australia, Jan. 27, 2015. Australia won 2-0 and entered the final. 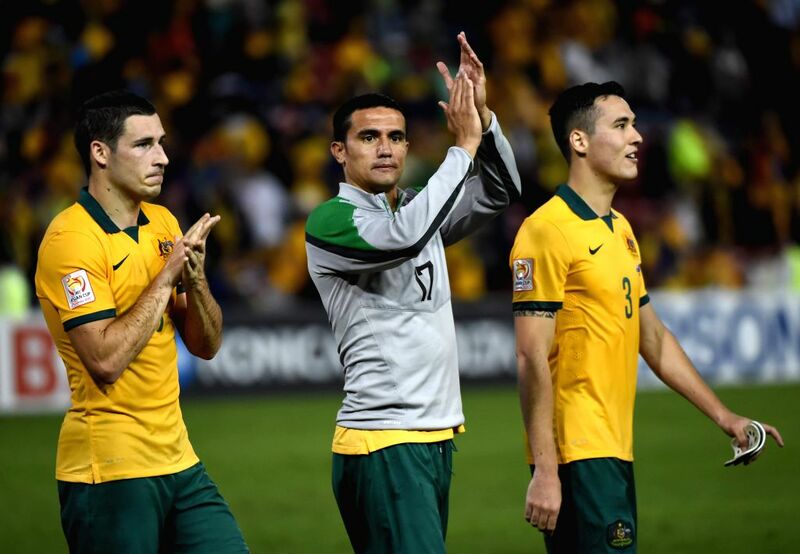 Tim Cahill (C) of Australia greets the fans with his teammates after winning the semifinal match against United Arab Emirates at the 2015 AFC Asian Cup in Newcastle, Australia, Jan. 27, 2015. 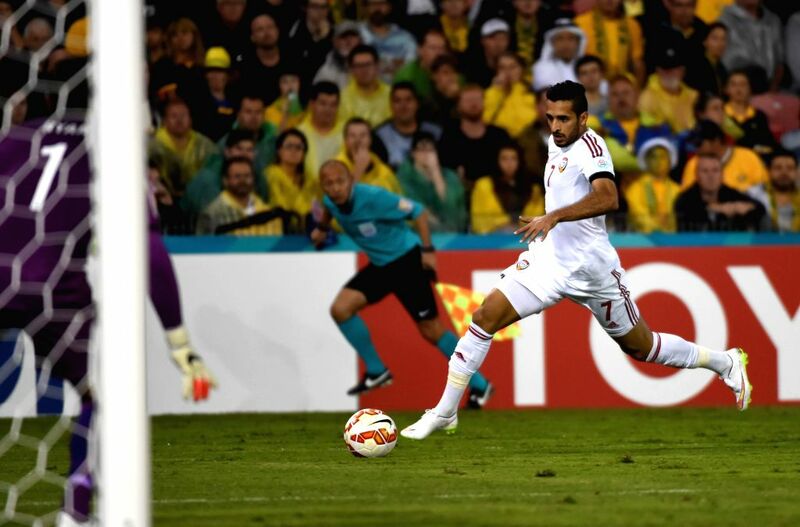 Ali Mabkhout of United Arab Emirates dribbles the ball during the semifinal match against Australia at the 2015 AFC Asian Cup in Newcastle, Australia, Jan. 27, 2015. 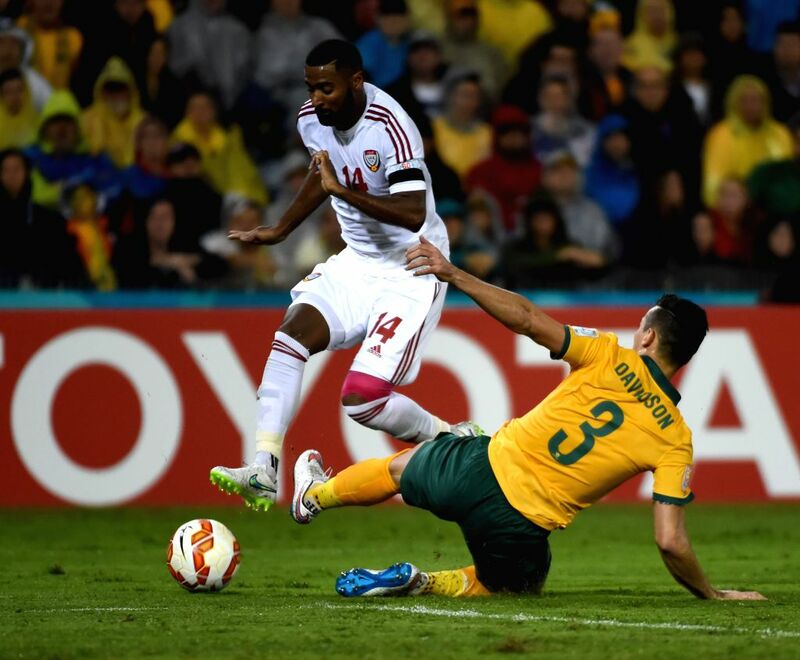 Mohamed Sanqour (L) of United Arab Emirates competes with Jason Davidson of Australia during the semifinal match at the 2015 AFC Asian Cup in Newcastle, Australia, Jan. 27, 2015.